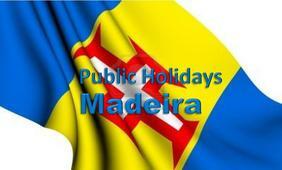 On the island of Madeira there are 15 public holidays every year. These are listed below in the order they occur during the calendar year. Every public holiday is provided with a short explanation as to the meaning of the particular day for the island. As some of these are religious holidays it would be wise to make sure you understand what it is about before you visit Madeira during any of these dates to prevent you from being embarrassed. New Year's Day is on 1 January, the first day of the year on the Gregorian calendar. It is celebrated with spectacular fireworks on Madeira. The Carnival of Madeira is an annual festival held forty days before Easter that ends on Shrove Tuesday (called Fat Tuesday in Madeira - Terça-feira Gorda in Portuguese) the day before Ash Wednesday (first day of Lent). Good Friday is the Friday before Easter. Easter falls on the first Sunday following the Paschal Full Moon, the full moon on or after 21 March, taken to be the date of the vernal equinox. The date of Easter varies between 22 March and 25 April. Portugal Day is celebrated annually on 10 June and is Portugal's National Day. On Madeira this is also celebrated with a public holiday. The Feast of Corpus Christi (Latin for Body of Christ), is a Latin Rite liturgical solemnity celebrating the tradition and belief in the body and blood of Jesus Christ and his Real Presence in the Holy Communion. It emphasizes the joy of the institution of the Holy Communion, which are observed on Madeira. This is a moveable feast that is celebrated on the Thursday after Trinity Sunday. Trinity Sunday is the Sunday following Pentecost, eight weeks after Easter Day. The earliest possible Thursday celebration falls on 21 May (as in 1818 and 2285), the latest on 24 June (as in 1943 and 2038). Madeira Day is celebrated in Madeira on 1 July annually. It is a holiday marking the date when Portugal granted autonomy to Madeira Island. It is an official holiday in Madeira Island. Celebrated every year on 15 August, the Feast of the Assumption of the Blessed Virgin Mary commemorates the death of Mary and her bodily assumption into Heaven. This is a public holiday on Madeira. In Portugal this day is known as Implantação da República. It celebrates the proclamation of the Portuguese First Republic in 1910. This is a public holiday on Madeira. All Saints' Day begins at sundown on the 31st of October (celebrated as Halloween) and finishes at sundown on the 1st of November. This is a public holiday on Madeira. On 1 December 1640, the country regained its independence once again by expelling the Spanish during the Portuguese Restoration of Independence War. This is a public holiday on Madeira. The Feast of the Immaculate Conception celebrates the Immaculate Conception of the Blessed Virgin Mary. This is a public holiday on Madeira. Christmas is an annual commemoration of the birth of Jesus Christ and observed as a holiday, on 25 December. This is a public holiday on Madeira. Boxing Day is traditionally the day following Christmas Day and is a public holiday on Madeira as well.